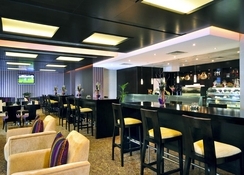 The Gloria Hotel Dubai is the first-choice for families, boasting child-friendly and spacious accommodation in Dubai. This 4-star prize-winning hotel rises above the bustling Sheikh Zayed highway in Dubai and it is the largest ‘all suite’ hotels not only in Dubai, but the entire Middle East. This 41-storey hotel comprises of 920 elegantly appointed apartments and suites, which are comfortable and luxurious accommodation for singles, couples, families, traveling executives and long staying guests. Gloria Hotel Dubai is a traveller's paradise, facilitating world-class events and meetings, dining outlets, expansive suites, a spa and a lounge with spectacular sea and city views. The staff members in this alcohol-free hotel are professional and friendly, ensuring a continuous service, whether you are traveling for leisure or business. 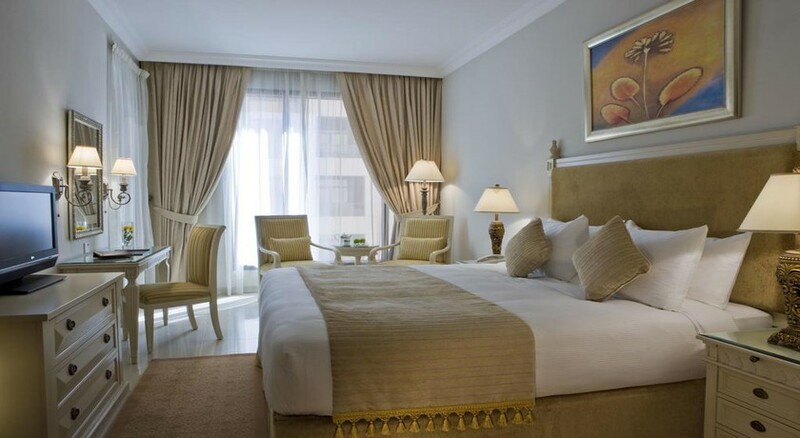 The glittering Gloria Hotel Dubai is nestled in Media City on Sheikh Zayed Road. It will be an exciting stay for the beach lovers, as the hotel is only 17 minutes by walk from the beach. The Beach Mall, which is situated at Jumeriah beach is just ten minutes’ drive away from the hotel, making it convenient for shoppers. The Dubai International Airport is around 30km from the hotel, while the Dubai Mall is about 19km. This alcohol-free hotel comprises of 448 apartments and 472 suite rooms. The apartments in this hotel are categorised as One-Bedroom City View Apartment, One Bed Room Sea View Apartment, Two Bed Room Apartment City View and Two Bed Room Apartment Sea View. The suites at Gloria Hotel are categorized as Deluxe Suite City View, Premium Suite City View, Premium Suite Sea View, Grand Suite Sea View and Grand Suite City View. All the rooms and apartments have all the necessary amenities like air-conditioning, flat screen TV, in-room service and many more. Savour lip-smacking flavours and tastes at Gloria Hotel’s restaurants and lounges. 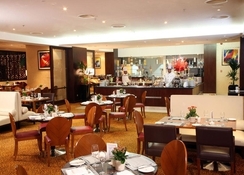 There is a wide array of international cuisine to savour your taste buds and of course you can soak up the welcoming hospitality of this well-known 4-star hotel. There is a pool bar, where you can have informal refreshments or hit the Sky Lounge for light snacks where you can enjoy a bird’s eye view of the sky-scrapper Dubai city. Whether you want to play or relax at the Gloria Hotel, the state-of-the-art facilities here will keep you engaged throughout the day. Hit the gym for keeping up your fitness regime or indulge in a relaxing session at the spa. The 24 hour gym boasts the latest equipment and expert fitness trainers. The hotel also organizes fitness classes that includes spinning and martial arts. While you are relaxing in the spa, children can have fun in the children’s club or take a dip in the children’s pool under the supervision of the hotel’s staff members. The hotel also has multi-purpose sports facilities, including mini-football, basketball, volleyball and squash courts.